Threadgold Architecture is an ideas driven Perth architecture practice established in 2008, esteeming innovative architecture to enrich daily life. The Perth architecture practice draws inspiration from the site, climate, context, environment, landscape, light and topography – always seeking to design a contextually appropriate, unique and well considered building for the each individual site to elevate the clients’ and occupants’ experience of a space. The Perth architecture practice delights in design solutions which express the context and aspirations of the client; recognising the responsibility to the client and occupants who will ultimately inhabit the space after practical completion. The Perth architecture practice has a commitment to take on projects of differing scales, budgets and programs as competent design and architectural details transcend all projects. The Perth architecture practice values ideas that challenge existing established conventions and enthusiastically embraces sustainable design principles to achieve a better way and more responsible way of connecting individuals, families and communities. Every Threadgold Architecture project has a distinct identity while satisfying the client’s brief, after all, spatially distinct buildings and architectural excellence require bold and passionate patrons as an inception point. Threadgold Architecture values the entire architectural process from concept to practical completion as construction is a culmination of the client’s dreams and aspirations. 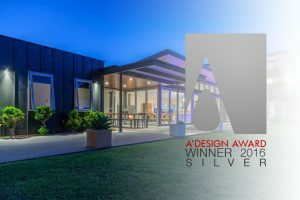 The Perth architecture practice administers all aspects of the construction contract by thorough assessment of progress claims through regular site visits, architect’s instructions, contract variations, extensions of time and liquidated damages where the construction phase has over-run the construction program. The Perth architecture practice understands the importance of the relationship with the builder to ensure the correct and coherent implementation of the construction project from the architectural drawings and maintains direct contact with the builder/supervisor throughout the program. Construction is an exciting stage of the architectural process that requires a Perth architecture practice with attention to detail to create sensory and memorable buildings with considered spatial qualities.